Don’tcha just LOVE this! 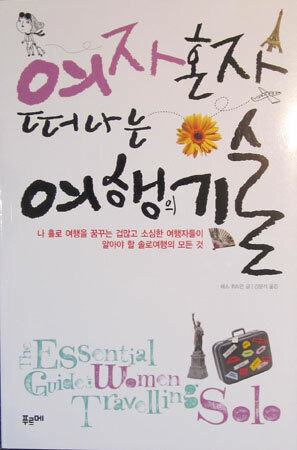 This is Wanderlust and Lipstick: The Essential Guide for Women Traveling Solo in Korean! Next time you’re in the Seoul airport or traveling through South Korea, be sure to pop into a bookstore and ask for it 🙂 Of course, you could always buy the English version of The Essential Guide for Women Traveling Solo. Very cool! Do you know how many languages you’ve been translated into with the book?